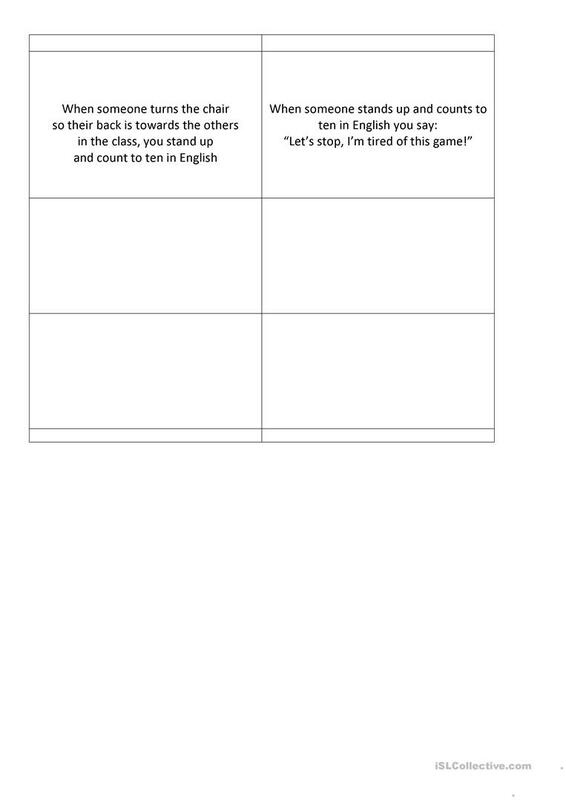 A game that´s funny to do in class. Make two copies of the printable. Cut out one of the sets. Be sure that they are in the right order, unless you´ll have problems (Keep the uncut set for that! 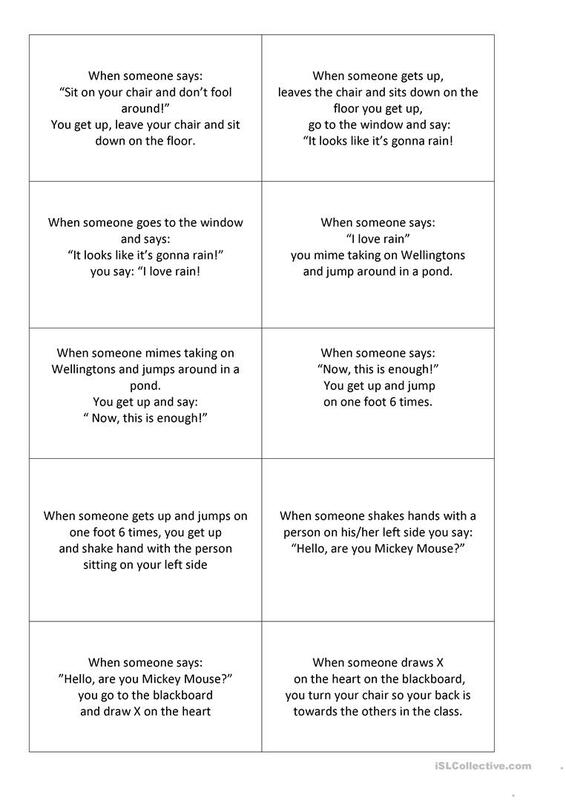 )Make as many cards as there are students in class, - make som ekstra cards if 26 are not enough. Mix the cards and give a card to each student (be sure they understand all the words before). It´s not allowed to show the card you have received. 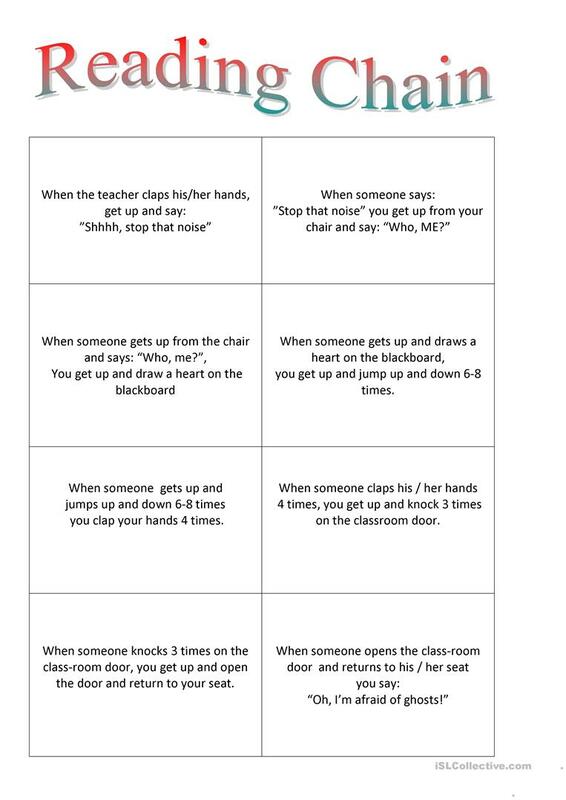 The teacher starts the game clapping his/her hands. 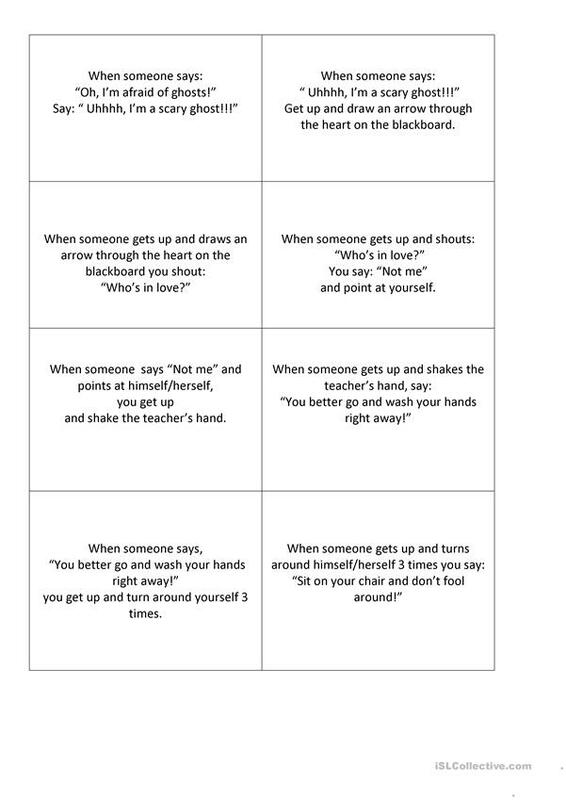 I have laminated the cards and my students sit in a circle when we do the game. Have fun! This printable, downloadable handout is a great resource for high school students and elementary school students at Pre-intermediate (A2), Intermediate (B1) and Upper-intermediate (B2) level. It was designed for strengthening your groups' Listening, Spelling, Speaking and Reading skills.